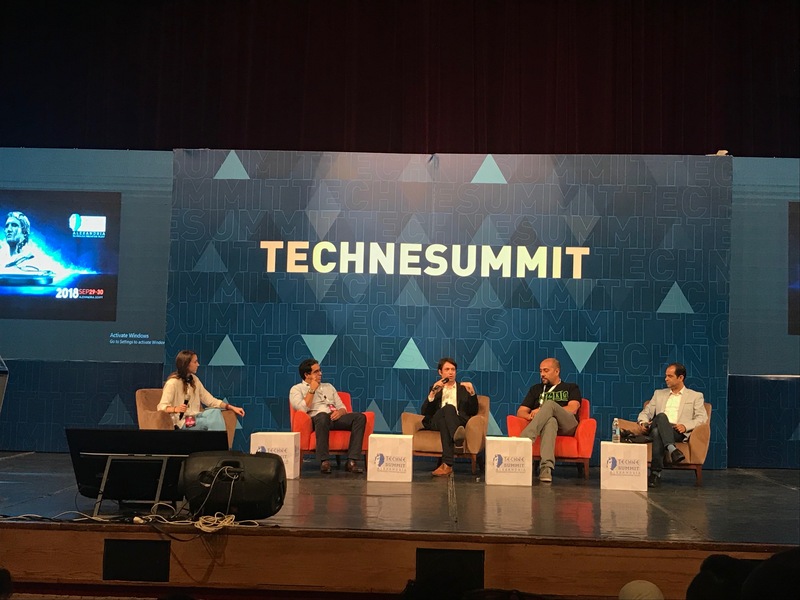 Officials and experts attended the opening of Techne Summit on Saturday including the Minister of Communications and Information Technology, Amr Talaat, and the Swedish ambassador in Egypt. Techne Summit aims to be a platform that gathers the key players in the technology world including entrepreneurs, startups, investors and media. Competitions, workshops, and talks are held at the summit among other activities, and one of the talks that were held on Saturday was a talk about competitiveness in entrepreneurship presented by Nezar Sami, the founder of Nilepreneurs and the author of “Maknaz”, a book about entrepreneurship. “We hope that Egypt continues to rise in the global competitiveness index and that it gets ahead with 14 spots,” Sami said. The summit’s first day also included other talks titled “The Future of Tech Trends”, “Hot Investments and Industries in the Region” and “Empowering Women One Brand at a Time.” The audience engaged with the speakers and asked questions at the end of each talk. Techne Summit is an annual two-day event. This year, it was concluded on Sunday where more workshops, talks were held and the winners of the competitions were announced.